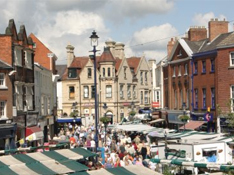 Melton Mowbray and Oakham are two small towns to visit for food, pubs, and entertainment, and notable landmarks. These two towns are linked by a road and are best traveled by a chauffeured car. Chauffeuring in Melton Mowbray & Oakham is one of the services we offer. Whether you are a tourist or a local, you will be able to enjoy these two towns and their specialties. Pubs and entertainment are enjoyed best in Melton Mowbray. If you want a taste of pork pies, Stilton cheese and ales, this is the place to go to. There are pubs, museums, and theatres situated in historic buildings as well. Oakham is known for various landmarks such as the All Saints’ Church, Oakham Castle and Rutland County Museum. Any visitor should hire a chauffeur in Melton Mowbray & Oakham because there are just so many notable places to visit. If you are in the area for business purposes, make sure to check out the sports events and pubs in these towns if you want a bit of entertainment in the weekends. If you love churches, castles and museums, it is best to see them while riding in style as well. Couples who are marrying soon may find either Melton Mowbray or Oakham the ideal place for the ceremony or reception. Just make sure to hire wedding chauffeurs in Melton Mowbray & Oakham so you, your families, and entourage can further enjoy these areas without worrying about the ride. Two notable towns are worth visiting only if you ride a chauffeured car in Melton Mowbray & Oakham. The roads leading to these towns are linked and riding safely and comfortably is an added treat. Don’t be afraid to explore these places because you will enjoy them further if you hire a chauffeured car. Need a chauffeur service in Melton Mowbray and Oakham? Contact us if you have an inquiry or use our reservation form for booking.